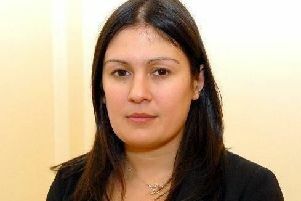 Wigan MP Lisa Nandy says up to 60 Labour politicians could support a Brexit deal if prime minister Theresa May softens her red lines. Ms Nandy made the surprisingly-strong claim that dozens of MPs on the opposition benches could be prepared to back a revised withdrawal agreement on Wednesday. However, she said remaining in a customs union with the EU - which has been ruled out by Mrs May - was one of her top priorities for any deal on Britain's departure. Former shadow cabinet minister Ms Nandy urged Mrs May to reach out to opposition MPs to avoid a no-deal Brexit but also again urged compromise within her own party, particularly over the contentious issue of freedom of movement. Ms Nandy said: "If she were able to come back, and stop this eternal circular conversation within the Tory Party, and start reaching out to the rest of Parliament and the rest of the country and give us those assurances, I think you'd get somewhere between 40 and 60 Labour members of parliament who would be prepared to step forward and say, we've got to come together around this, otherwise we leave with no deal." She said Mrs May would have to provide "binding assurances" on what she was seeking to negotiate with the EU, with a vote in Parliament on the final deal. Ms Nandy also acknowledged that Labour's own Brexit tests would not be met in any deal with Brussels - and the party may have to drop its hopes of ending free movement. "The six key tests commit us to the exact same benefits as being in the single market, to being in a permanent UK-wide customs union with the European Union, and ending free movement," she said. "Now it is very clear, in discussions with the European Union, that you cannot do all of those things. So we are going to have to choose. "My own view is that access to the single market and remaining in a permanent customs union is the only thing that will protect the huge number of food manufacturing jobs in my constituency, and the service industry as well, which employs many people in my town and across the country. "So ending free movement is where we are going to have to budge."